Christmas and Hogmanay are just days away now and more people than ever are out and about in Ayr, shopping, meeting work colleagues for a night out, having a family get together or a special night out with friends. 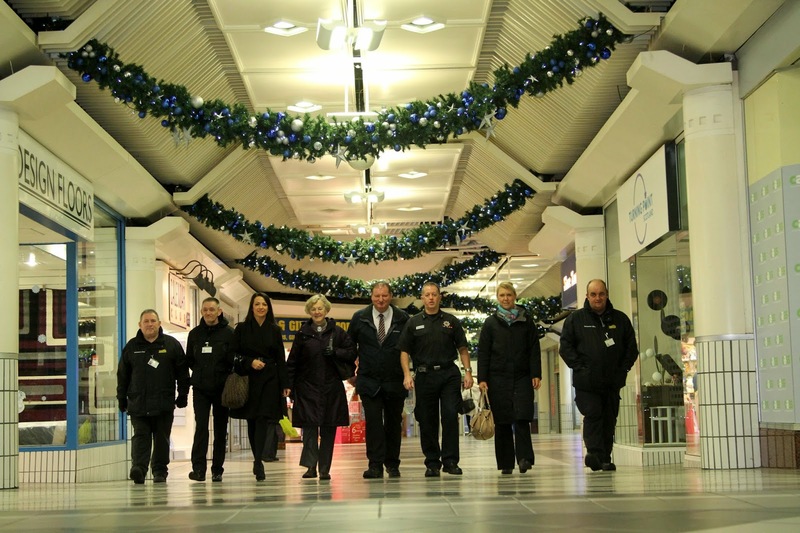 Once again this year, the SafeAyr initiative, managed by the South Ayrshire Community Safety Partnership, will be running – helping make the town centre an even safer and more attractive place to be during the festive season. If you are out and about at night SafeAyr will be there to help keep you even safer, taxi marshals will be in Boswell Street and additional police will be in the area. Additional street cleaning, toilet facilities, improved lighting and a St. Andrews First Aid ambulance and crew are all there to make Ayr even safer, especially in the evening and at night. Community Support Workers will be carrying out short surveys while on high visibility patrols in the town centre. Councillor Rita Miller, Chair of the South Ayrshire Community Safety Partnership said: “The festive season truly is a time for family, friends and fun. However, it’s also a time when one or two people take things to excess and that’s when trouble can flare. Helping to support this year’s initiative, there will be a range of special safety messages projected on to the wall of the Gaiety Theatre to remind people how to stay safe. Councillor Miller concluded: “If we set out with the intention of being extra patient and more understanding when we’re in town for a day or night out, we can all play a positive part in staying safe and sound as we enjoy everything Ayr has to offer.